Manuscript consultation services are ideal for those who are nearing or have completed a full draft of a manuscript. Submit your novel, memoir, nonfiction book, young adult book, children’s book, short story, essay, magazine article, screenplay, stageplay, or poetry for professional review and improvement, and/or to prepare for traditional publication or self-publication. Critique, editing, and proofreading may be requested individually or in combination. WriteByNight provides detailed commentary throughout your manuscript in order to identify what’s working, what’s not, what could be improved, and how. We consider large craft issues such as plot, structure, setting, characterization, point of view, voice and style, as well as smaller issues such as consistency, repetition, and descriptive details. We’ll then meet with you to discuss the feedback in depth, and make recommendations for next steps. WBN edits your manuscript line by line for fluidity, clarity, grammar, and usage (commonly referred to as line editing), and provides suggestions for improving the overall effectiveness of the piece (commonly referred to as content editing). We’re careful to retain your unique voice and style so your writing will sound like you, but optimized for readability and maximum appeal. We recommend editing when you feel you’ve taken your manuscript as far as you can. WBN combs your manuscript for spelling mistakes, improper punctuation, typos, and formatting errors. 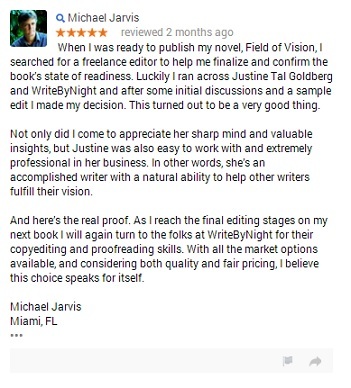 Proofreading is the final necessary step in preparing your manuscript for submission to agents, publishers, contests, or even friends and family.